The fourth Online & Digital Grocery Summit by My Digital Shelf kicked off on May 22nd at the Hilton in Tower Hill. In his opening remarks, Chairperson Adrian Percival, EMEA Capability Lead Baby and Childcare at Kimberly-Clark, welcomed all business leaders by reiterating that the one thing brands and retailers both share is the certainty of retail’s changing landscape. With this in mind, E Fundamentals’ CEO John Maltman took the stage to share how brands can take their category strategy to online retailers and thrive in an uncertain market. Amidst the cracking of jokes and sharing his own personal story about a terrible online shopping experience, John shared P&G’s transformative productivity rate and how FMCG can achieve a similar result with online retailing. We live in a low growth environment with the average Consumer-Packaged Goods companies increasing sales and productivity by 3% over the last few years. For investors this is not enough; they are demanding major productivity improvements. With less resources available, companies need to focus on the growth opportunities and adopt agile as a way of working that delivers flexibility and speed. For brands, agile should be seen as the ability to quickly focus people and money on close in opportunities whilst staying true to the longer term aims. The speed of change is accelerating. Ocado’s share price has more than trebled in under six months as they announced partnerships with Casino, Sobies, ICA and Kroger. Put that together with Amazon’s purchase of WholeFoods and Walmart taking a majority stake in FlipKart, you can see a retail landscape that is transforming right in front of us. 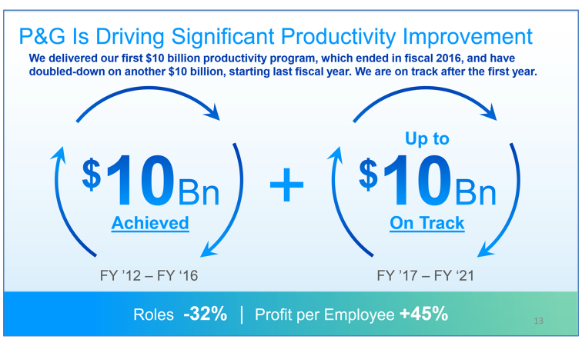 P&G made a major transformation to their organisation by significantly improving productivity and driving profitability per head by 45%. The drive for productivity and quick results means that to execute with scale, the sales and marketing function needs to be upskilled to work in the omni-channel. To achieve this, tools and services that are highly intuitive and are built to reflect the company’s key priorities and strategies are required. Building your thinking in terms of category definition and opportunities into your eCommerce intelligence service. Activating your category drivers in online retail. Extending category thinking to the path to purchase. 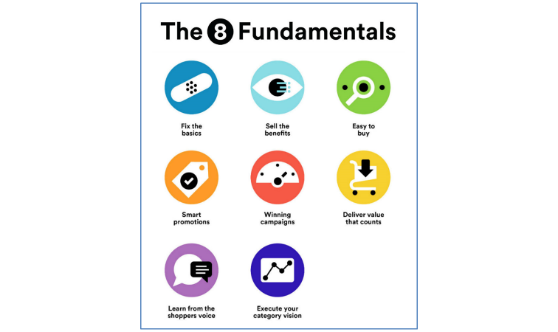 The 8 Fundamentals is what you need to get right to sell and market brands through online retailers; the tried and tested approach has increased revenue for brands all over the world whilst helping them adopt and engage with eCommerce within their organsiations. Firstly, categories and sub-categories are set out to reflect your category thinking with the option of creating hybrid categories. For example, pizza across fresh, chilled and frozen. Crucial to a satisfying customer experience and converting sales is using the Delivering Value that Counts Fundamental. It looks at range and promotion across multiple retailers at a category, sub-category and brand and item level. See two retailers assortment side by side by sub-category. There is some big difference particularly in the areas of Ground Bean and Pods. 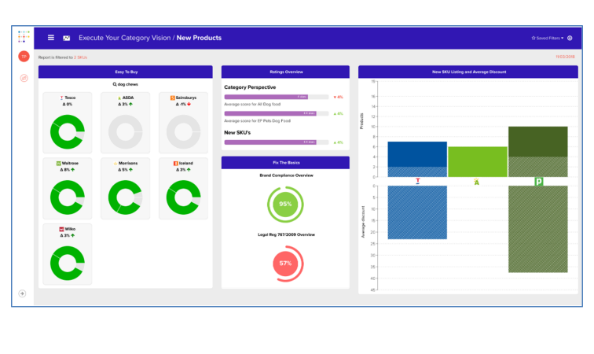 Pence per cup, or an occasions segmentation can be aligned with your retail customer and you can then track and present opportunities on the fly. With a click you can drill down into Pods and see what is driving the difference. 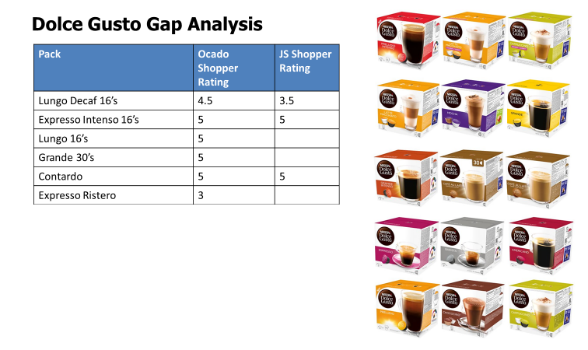 For productivity we generate gap analysis calling out the missing SKUs and summarising shoppers feedback against them. Another key Fundamental is Winning Campaigns. Key account managers knows how to use this tactically and strategically without training. 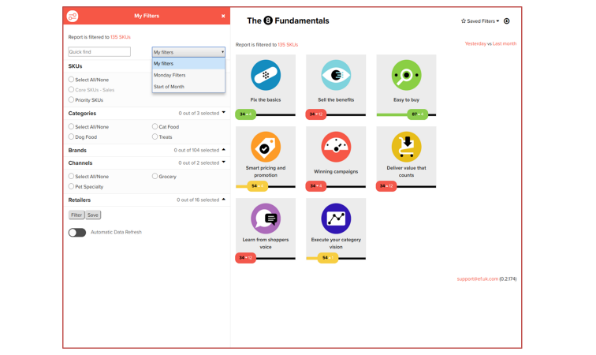 The Fundamental summarises promotion campaigns by brand but you can add a category layer and look at key measures by the category segmentations you and your customers think are important. Here is an example of a pre-built tracker for innovation. At a glance you can see search, compliance, listings, promotions and shopper feedback all from day one of launch. Imagine the power and value of knowing the main points of interaction with the potential buyer and being able to give them the information they need to go from interest to purchasing and give them that information in a language that is totally authentic and relevant. Most of the players in this area will attempt to sell a one size fits all proposition. 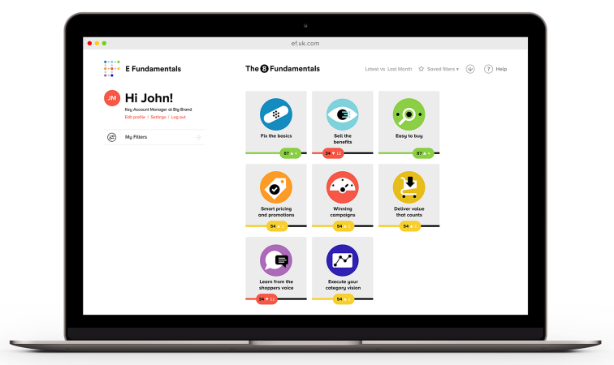 E Fundamentals is different because we were clear from the outset about the importance of category thinking and we knew our clients want to see their category strategy and drivers embedded in the service.